Join our talent development programme aimed at writers, directors, producers and craft & technical talent. Access to a bespoke programme of events looking at creative and technical topics and key challenges. Have been a recipient of short film funding during 2019/20 from the BFI NETWORK funding programmes provided by Ffilm Cymru Wales, Northern Ireland Screen, Scottish Film Talent Network, or the BFI in partnership with the English film hubs. For writers only: Have one piece of full-length theatre work performed professionally in the UK or one radio credit. Craft and technical ‘below the line’ talent should have 2-4 broadcast or feature credits in their department, in the last two years. I am an actor, can I apply? I am in full-time education, is this programme for me? No, this programme is aimed at those already working in the industry. Students should visit Guru Live, BAFTA’s festival for career starters across film, television and games held in London, Scotland and Wales. I am a BAFTA member, can I apply? I am a trainee, am I eligible for BAFTA Crew? Which craft departments does the programme cover? For craft and technical talent, what do you consider a main team credit? A main team credit in your department includes assistant and coordinator positions, floor or production runners but does not include trainees or dailies. To include a credit, it must be either a broadcast or theatrically released feature credit. BFI NETWORK x BAFTA Crew participants will be selected by a committee of industry representatives, BFI NETWORK and BAFTA, as well as BAFTA-nominated HoDs. Applicants will be selected based on their experience and their application form. I have already participated in the BAFTA Crew programme, am I eligible for the 2019 programme? The events will take place in venues in major cities throughout the UK. This will be based on the geographical location of the final group, with travel bursaries available for those based more than 50 miles away from the venue. When do I need to pay the joining fee? You will need to pay the joining fee when you are offered a place. An email will be sent to you to confirm. Why can’t I see the full annual programme of events now? We work with the industry’s best practitioners who won’t always know their availability months in advance. We will endeavor to give participants as much notice as possible when programming events. Once selected for 2019, you will have access to an fortnightly newsletter outlining upcoming events. Who will deliver the events? BAFTA events are delivered and led by BAFTA-winners and nominees; writers, directors and producers – as well as craft and technical. Additionally, we will invite speakers with BAFTA-nominated credits. Please visit BAFTA Guru for a taste of previous Crew events and BAFTA content. Do I have to be living in the UK or is the programme open for overseas applications? Applicants need to be currently living and working in the UK. However, we welcome those with international experience on their CV. Previous work experience in the UK is not a necessary requirement so long as you currently reside in the UK. I am a very experienced practitioner looking for training that will develop my technical skills. Is this programme for me? This programme is not a technical training course and is not designed for one specific craft. 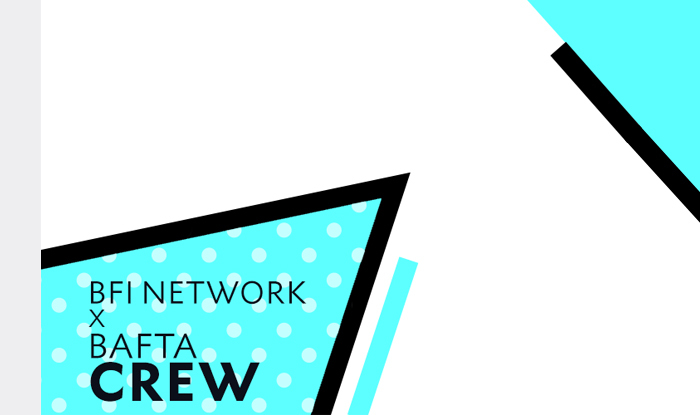 BFI NETWORK x BAFTA Crew will give you access to a network of peers and events led by BAFTA nominees. The programme is designed to help you develop your skills through dialogue with our BAFTA-nominated speakers and through networking with fellow participants on the programme. BFI NETWORK x BAFTA Crew aims to provide an environment in which you can meet other professionals at a similar level in the industry and gain a broader understanding of their work. Will BAFTA cover my travel to and from events? We do have a limited number of bursaries available to supplement travel costs for those travelling to an event more than 50 miles from their home address. More details will be available once you have been accepted and before you pay your fee. I’m a writer, director, producer and I’d like to apply for mentoring, how do I do this? There will be an opportunity in the application form to express your interest in mentoring opportunities for those from under-represented groups. To apply, head to the BAFTA website here.